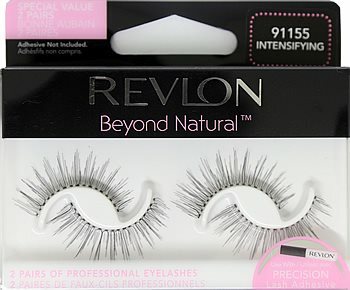 Revlon Beyond Natural CUTIE DOLL (91268) lashes effortlessly enhance your look! Get gorgeous, natural-looking lashes in an easy-to-apply strip lash. Style similar to MAC 07 lashes. Revlon Beyond Natural DEFINING (91148) lashes effortlessly enhance your look! Get gorgeous, natural-looking lashes in an easy-to-apply strip lash. Brush on adhesive to lash band. For best results, used Revlon Precision Lash Adhesive. 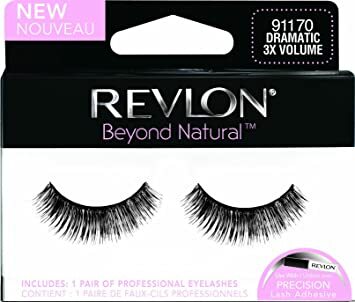 Revlon Beyond Natural DRAMATIC 3X (91170) lashes effortlessly enhance your look! Get gorgeous, natural-looking lashes in an easy-to-apply strip lash. Revlon Beyond Natural Lashes in style Lengthening (91298) are perfect for wear no matter what the occasion. These super lashes are brand new from Revlon for spring/summer 2016! 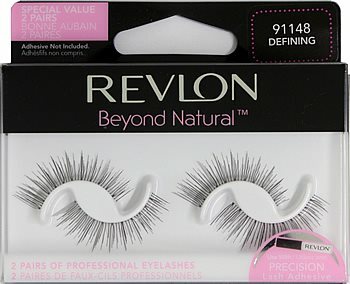 Revlon Beyond Natural FLIRTY (91182) lashes effortlessly enhance your look! Get gorgeous, natural-looking lashes in an easy-to-apply strip lash. Please note Revlon Beyond Natural FLIRTY (91182) is currently out of stock; Item will be available again shortly. Try comparable style in Revlon Fantasy Lengths Glue-On Lashes #503 (91003). Revlon Beyond Natural INTENSIFYING (91155) lashes effortlessly enhance your look! Get gorgeous, natural-looking lashes in an easy-to-apply strip lash. This style is similar to Ardell Fashion Lashes #110 and Andrea Modlash #21. Please note Revlon Beyond Natural INTENSIFYING (91155) is currently out of stock; Item will be available again shortly. Try similar style in Ardell Fashion Lashes #110 (New Packaging) or Andrea ModLash Strip Lash #21. 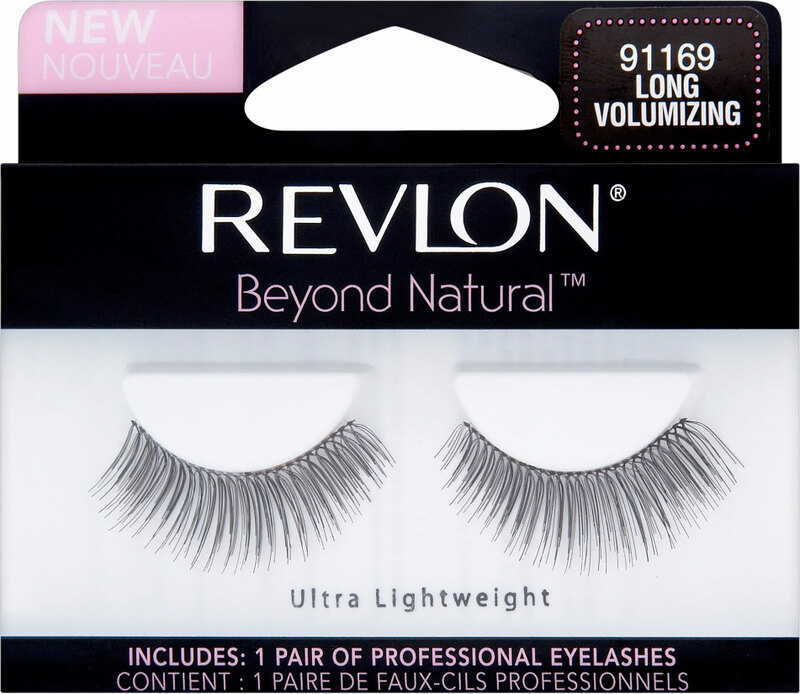 Revlon Beyond Natural VOLUMIZING (91169) lashes effortlessly enhance your look! Get gorgeous, natural-looking lashes in an easy-to-apply strip lash. 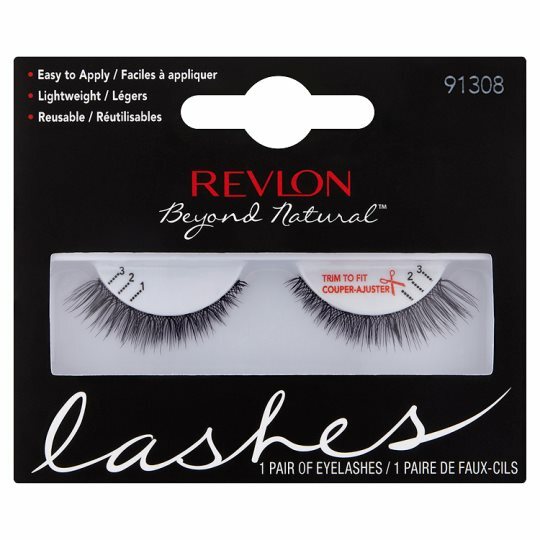 Revlon Beyond Natural SHORT NATURAL (91149) lashes effortlessly enhance your look! Get gorgeous, natural-looking lashes in an easy-to-apply strip lash. Switch up your lash look with Revlon Beyond Natural Lashes - Volumizing (91303)! The short, choppy style offers something different to most other lashes styles. There's lots of volume on offer between the multiple clusters on each lash band - but unmanageable length is no where to be seen. These falsies offer something a little different, that's for sure.